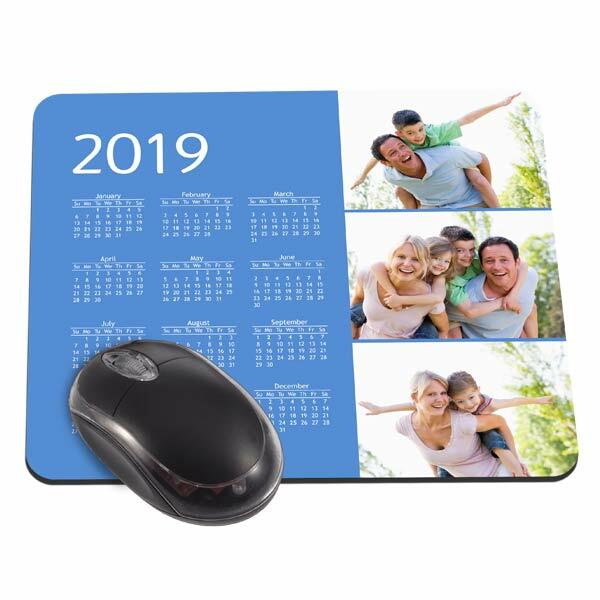 Freshen up your desk with a calendar mouse pad from MailPix. Customize yours with a few photographic treasures and brighten up your work day. 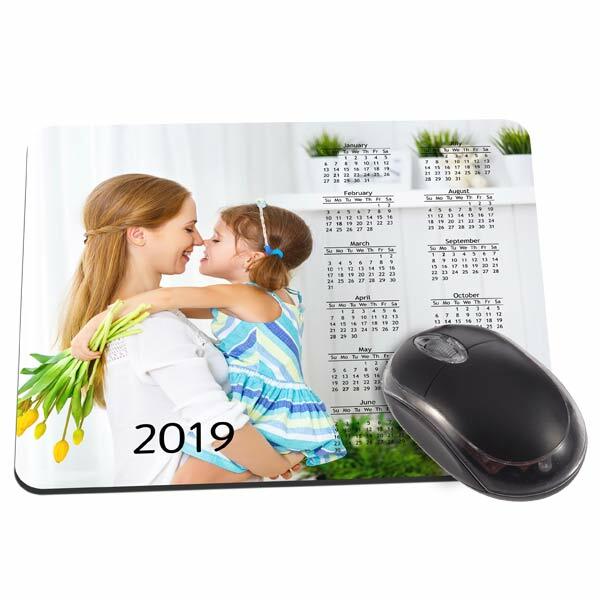 It may not be much, but when you work in an office, something as simple as a new mouse pad featuring the smiling faces of those you care about really help to make the day go by. Furthermore, we offer various layouts that you can use to display a range of favorite digital pictures while complimenting your style. 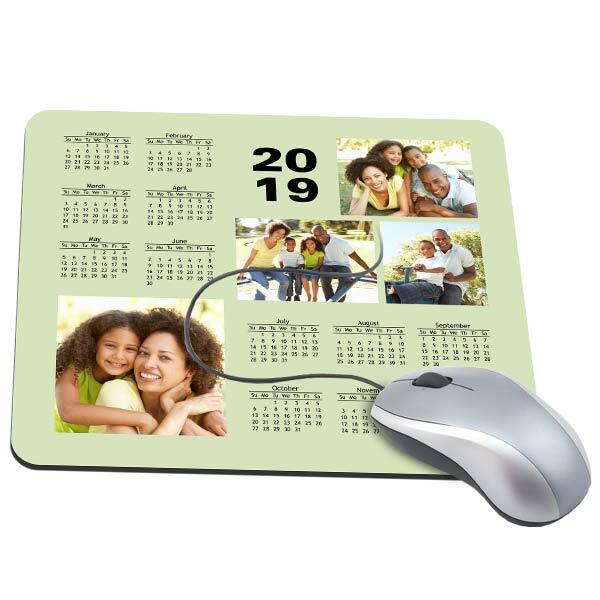 We also offer a classic, personalized mouse pad which you can embellish with a collage of photos, text, and a variety of background colors and patterns. Make your desk at work truly your own by incorporating your favorite memories into your office decor!